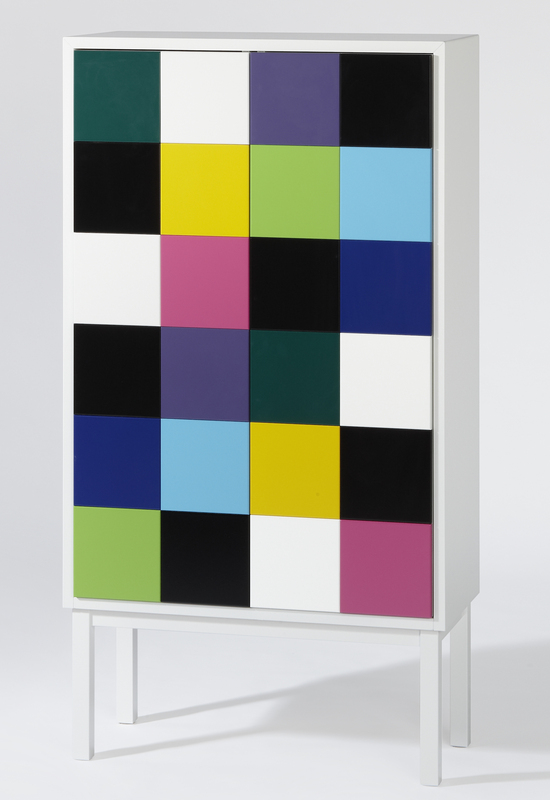 Collect is a little cabinet for your favorite things. It is far away from any anonymous storage system and has its own colorful identity. 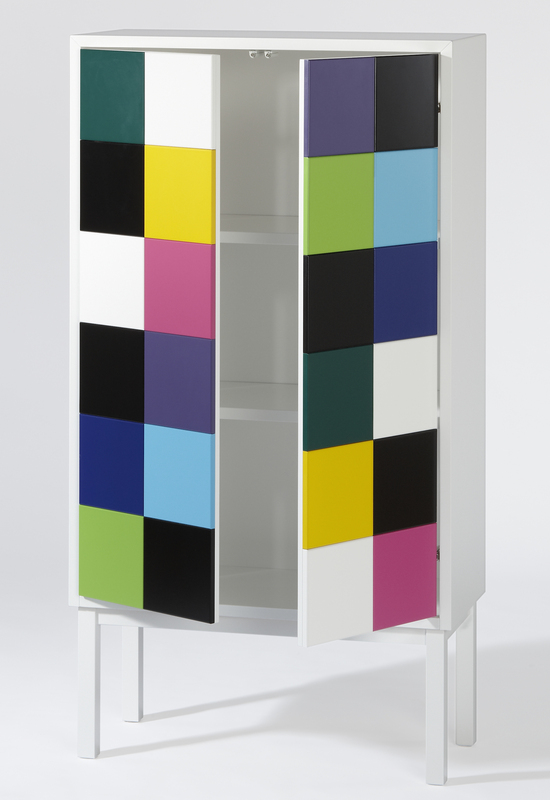 The cabinet has two movable shelves and the doors are opened by a push mechanism.